Food is a solace for me. Taking a break from a busy day and sitting down for a meal, especially a meal with people I care about, is a way to recharge - even more so, if I am preparing that meal myself. I can spend hours in the kitchen working on a dish and feel like 20 minutes have passed. I have heard people say that cooking is their meditation and while I wouldn’t go that far, the singleness of purpose I find in the kitchen is very soothing. I first discovered these little cakes when I was in need of some solace. My life had gotten busy again and I had not written anything for Apples and Butter in weeks. I was missing the comfort of both cooking and writing about food. These chocolate snack cakes are from David Lebovitz, one of my favorite pastry chefs. Deb over at Smitten Kitchen posted about them which is how I came to know of them and how that little voice got switched on. 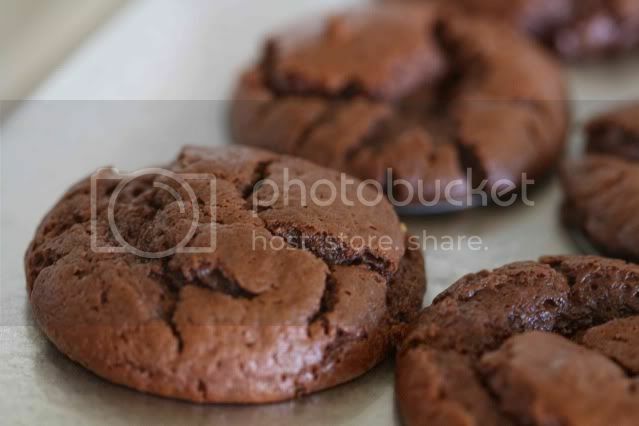 It didn’t hurt that Deb used a specialty kitchen pan to make these, one that I did not own. Inspiration in the kitchen that called for a trip to Sur La Table? I was in. Make sure you don’t overcook these. The second time I made them, I let them go just a bit too long and they were dry and not nearly as delectable as the almost under-cooked first batch. 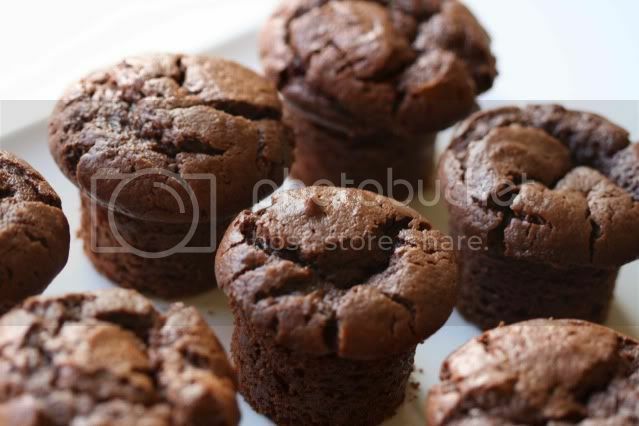 When not overcooked, they provide a perfect dose of chocolate in a little package. Not too rich and not too filling. Perfect for an afternoon snack paired with tea or coffee. I’m sure these will work just as well in a cupcake pan if you don’t have a mini-cheesecake pan and don’t want to purchase one. Just be sure and keep an eye on them. Cooking times will vary if you’re using more batter for each cake. If you’re using a cupcake pan, line it with paper liners. If you’re using the mini-cheesecake pan, just spray it with cooking spray. Melt the chocolate with 1/4 cup of the oil in a double boiler. Stir until smooth and then remove from the heat. In a separate bowl, mix together the other 1/4 cup of oil with the yogurt, sugar, eggs, vanilla and almond extract if you’re using it. In another bowl, combine the flour, baking powder and salt. Add the yogurt mixture to the dry ingredients and stir just until combined. Add the melted chocolate and stir until smooth. Divide the batter between your mini-cheesecake pan or cupcake pan, filling each about a 1/4 inch below the rim (you may have leftover batter). Bake for 20 – 25 minutes (remember note about not overcooking). Let cakes cool slightly before unmolding. These can be served immediately while still warm or later at room temperature. These look and sound beautiful. These look amazing. And delicious. Love the beginning of the entry. These are some great looking pastries. My kitchen is my escape! There is something so comforting about chopping...I could chop and prep for hours and be perfectly content! Your little cakes looks so yummy! Perfect for the drizzle and grim weekend ahead here in the UK! I was just ogling this recipe in DL's book (Sweet Life in Paris) which I recently finished. Your little cakes look absolutely perfect. Ok, I need to get one of those little pans, ASAP. aww the little things are so cute! Hi Jessica - there must be a chocolate vibe across the Atlantic because I'm into the third and failed batch of chocolate brownies! Keep overbaking them just by 5mins and missing out on the gooey important middle. These look delicious, to bad I'm trying to be health conscious for a bit. I'v added you to my watch list so I'll definitely be back! Waw!!! These look so delicious!! I agree with you about taking solace in the kitchen. It's always where I go when I'm stressed. I like it because it's both soothingly repetitive (peeling, cutting, etc) and creative. I don't have that kind of pan, but I have a muffin top tin that might do the trick. Those sure look delicious! 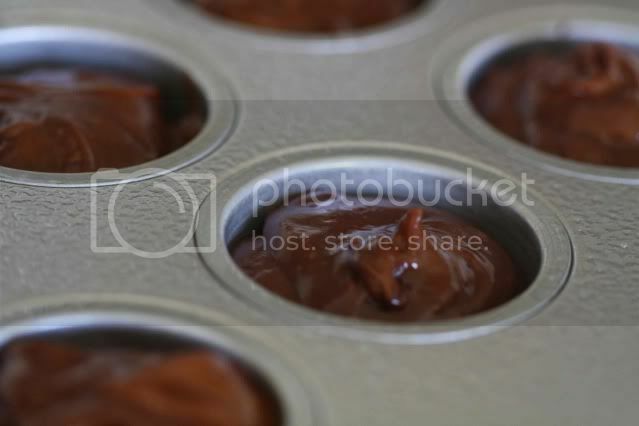 these look like little pieces of chocolate heaven :) and now i must get myself one of these pans.